Once in a while, you may stumble upon some ‘sensitive’ apps from the AppStore which interest you which led you into downloading them for your own ‘pleasure’ and these are the apps you don’t want any of your friends to see. Sure you can bury them deep within your iPhone app folder and name the folder ‘Boring Education Stuff’ to avoid your friends from opening it.. (or you can hide the app icon if your device is Jailbroken).. but did you know……. …… these app will be revealed once iCloud comes to your device? iCloud was recently announced at Apple’s WWDC which keeps all user data in the cloud. Apple’s new ‘Purchased’ feature on the AppStore made possible by iCloud may reveal past purchases you’d rather keep private. This issue has recently been reported by Tipb and they suggested that maybe Apple should offer a “permanently delete” option, where apps are removed from your iCloud totally? What do you think? Do you have any apps that you rather keep secret? 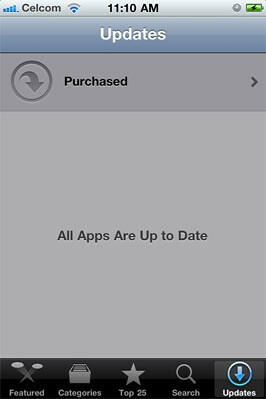 One Response to "Beware: iCloud May Reveal App Purchases Which You Rather Keep Hidden"